What do the H. L. Hunley, shipwreck diving, and beach volleyball have in common? Why, the seven miles of beautiful island that is Isle of Palms, of course! Originally inhabited by the Seewee Indian tribe, the Isle of Palms has a rich agricultural history. By the 1800s, the affluent residents of Charleston began frequenting the breezy open island to escape from the oppressive summer heat & swamp fever of the city. The island received its name in 1899 when developers moved in to seize on its popularity as a vacation spot, building hotels to house the vacationers in style. Amusement and pavilion facilities began to appear on the island to provide visitors with recreational opportunities. The Civil War kicked Isle of Palms' historical significance up into the stratosphere. The first combat submarine to sink a warship, the H.L. Hunley, was launched from Breach Inlet between Isle of Palms and Sullivans Island. This magnificent piece of Confederate Civil War History is now available for viewing by the general public as well as artifacts recovered from the wreckage by travelling an easy day trip fom Isle of Palms over to Charleston. The acclaimed pioneer of underwater archaeology, E. Lee Spence revealed and explored the locations of many blockade runner shipwreck sites along Isle of Palms. His discovery and recovery of artifacts from the Rattlesnake, Mary Bowers, Stonewall Jackson, Norseman, Constance, and the infamous iron-clad Georgiana have proven invaluable to the understanding of Confederate blockade running tactics, ship design, and history. The Georgiana rests a mere five feet below the surface, and skin diving enthusiasts can easily reach and explore her on clear days by simply holding their breath! The sea is rich with enough sea bass, flounder and grouper to thrill the fishing enthusiast. 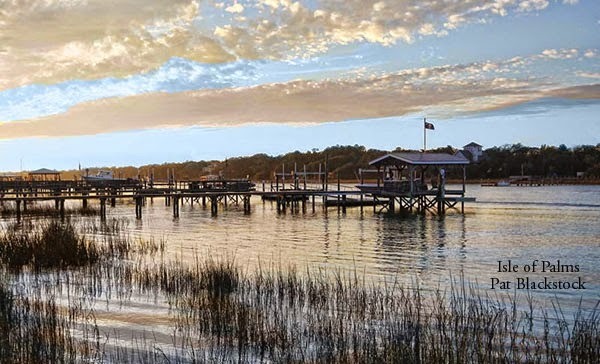 Water sport opportunities for boating, tubing, jet skiing, and water skiing are plentiful with Isle of Palms' prime location nestled between the Intracoastal Waterway and the majesty of the Atlantic Ocean. Beach volleyball is very popular on Isle of Palms, with the Windjammer Club providing the perfect backdrop for this fun in the sand sport. 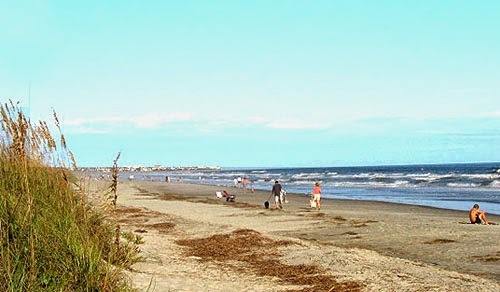 The exclusive and richly beautiful Wild Dunes Resort is also located on Isle of Palms. 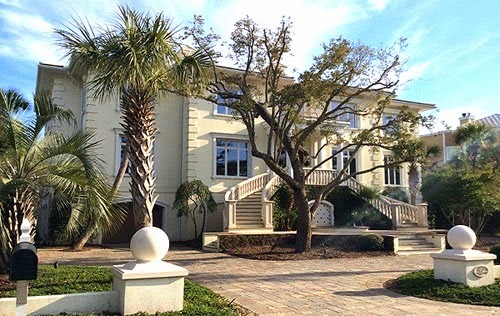 Isle of Palms offers a hodgepodge of real estate variety from condos, to brick ranch homes dating to the post World War II affordable housing boom, to magnificent oceanfront estate homes - as well as property available in the much coveted and admired Wild Dunes Resort. Prices are as varied as the type of home you seek and can range from a $120,000 condo to a multi-million dollar oceanfront mansion. Visit our website for a list of homes for sale on the Isle of Palms, or contact us today and let us show you the wonder and majesty of island living!